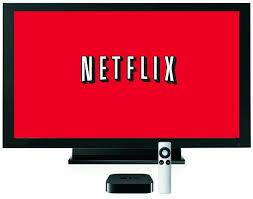 Netflix is a video streaming platform that provides video contents to the users along with the videos on demand. Netflix was founded in the year 1997 by Reed Hastings and Marc Randolph in Scotts Valley, California. Initially Netflix's business model included DVD sales and rental by mail. The company however, discarded the sales of DVD one year later to focus on the DVD rental business. The company expanded its business internationally in the year 2010. Netflix was made available to canada that year and since then it started growing its streaming service worldwide . Netflix provides its streaming services in over 190 countries today. Its subscriber base is simply huge with over 130 million subscribers all over the world and over 57.5 million subscribers are from the US. Netflix earns solely from the subscriptions . To watch videos and other on demand contents you need to subscribe to its services which are on a monthly basis which starts from roughly $8 per month. The plan can be Upgraded or Downgraded at anytime you want. Netflix is offering first month subscriptions free of cost. You just have to sign up using your details and login with the netflix login credentials and need to provide Credit or Debit card details . You'll not be charged for the first month even if you provide Credit or Debit Card details in the website or app. You can cancel your subscriptions before the completion of the month and opt out of the service easily.